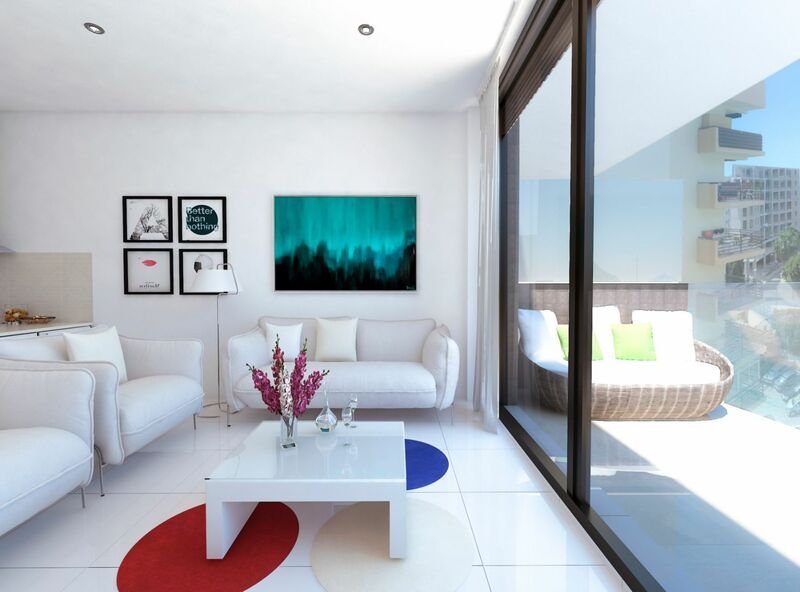 Apartments with 2 and 3 bedrooms in the city center of Calpe, North Costa Blanca. Placed only at 150 m. from the Arenal - La Fossa beach. This building is surrounded by all kinds of shops, restaurants, clothing stores and coffee shops, thanks to the proximity to the popular Gabriel Miró Avenue. Perfectly communicated by national road: 50 minutes from Alicante airport, 30 minutes from the city of Alicante and a few minutes drive from other well known towns such as Altea, Benissa or Teulada. This urbanization of 62 apartments is perfect for all types of families. 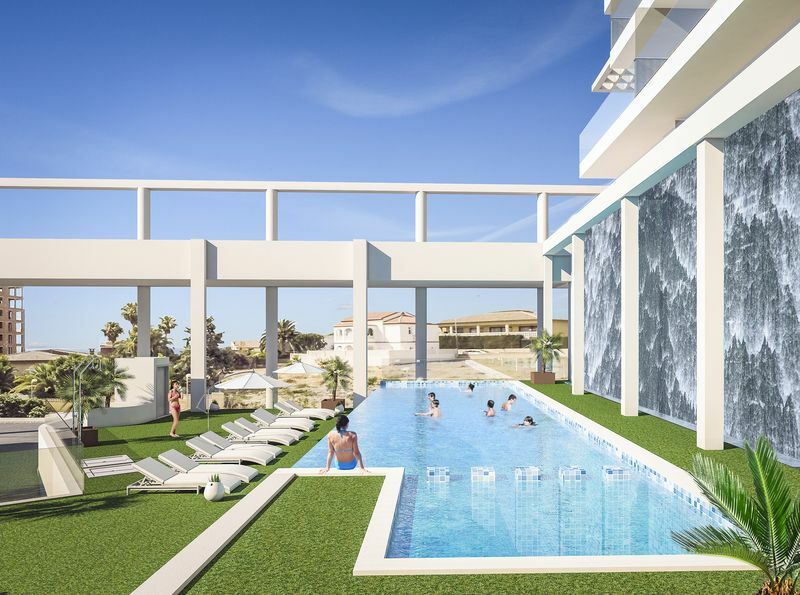 Both for summer and to live all the year round: common areas equipped with swimming pool, children's area, green areas will allow you to enjoy the outdoors. 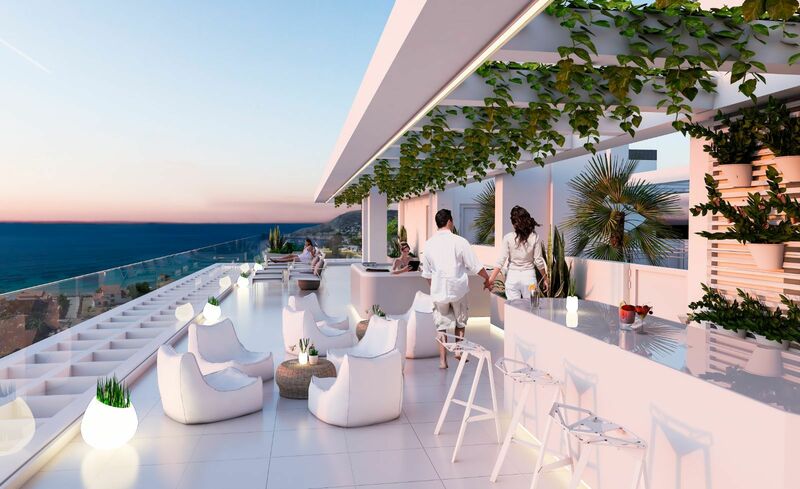 Not forgetting the spectacular chillout space that you will find on the roof, with community Jacuzzi with panoramic sea views. 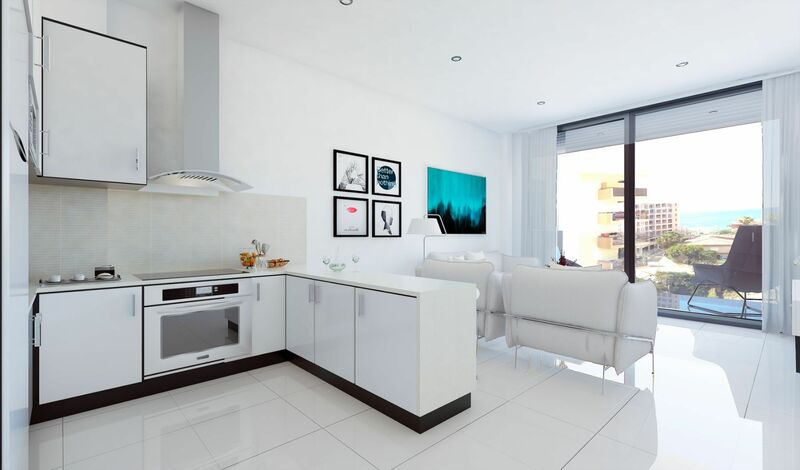 Flats of 2 and 3 bedrooms, plus a nice studio with large terrace with nice views either front or side to the sea. 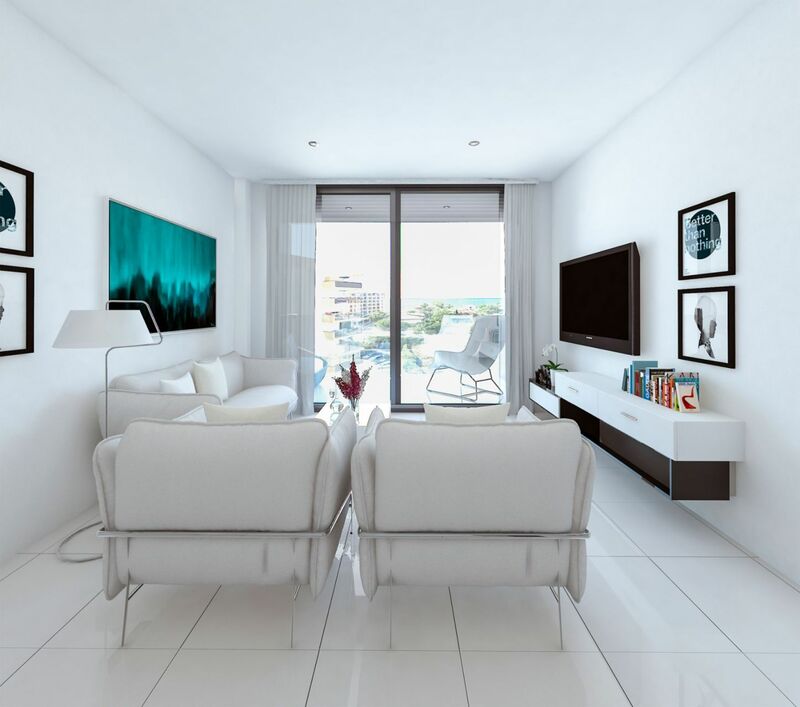 Large and bright living rooms with exit to the terrace, American style open kitchen, modern toilets and rooms with fitted wardrobes. The houses offer the possibility of personalizing the finishes according to the progress of the building works.